Gosh April is gone! May Canton Trade Days is here starting April 29th! Looks like a busy one but I think there may still be one room left at this Tyler Texas Bed and Breakfast. The Rosevine Inn is the perfect place to stay no matter what your plans. Following are so many things to do the next couple of weeks you will have to plan well! 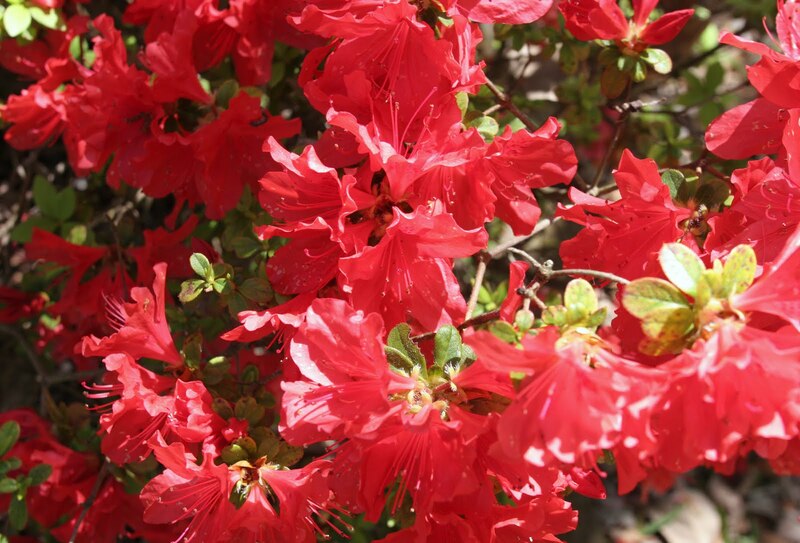 In an unprecedented move, the Tyler Visitors Center has extended the Azalea Trails until May 2nd! Bring out the whole family and enjoy the splendor of azaleas, tulips, dogwoods, wisteria, and Japanese maples along two trails within the historic district of Tyler, Texas! The Tyler Civic Theatre is presenting The Magician’s Nephew A highly theatrical dramatization of a C.S. Lewis classic by America’s most-produced children’s playwright. This is a play that encompasses realism and fantasy, interesting characters, humor and lyrical beauty, excitement and suspense. The script lends itself to imaginative staging, either simple or elaborate, providing a memorable visit to C.S. Lewis’ mythical kingdom with the great lion, the evil witch, the heroic children and the talking animals. It will play on Friday, Saturday and Sunday until May 9th. Want to shop? The Salvation Army Women’s Aux Spring Sale is for you! Come and shop at the Spring Sale and find clothing, shoes, accessories, furniture, decor, toys, games, books and at unbelievable prices. All proceeds will benefit the programs of The Salvation Army in Tyler where we’re Doing the Most Good for the homeless, desolate, and lonely among us. Another great thing to do on Saturday May first is the Spring Home Garden Tour Six delightful home gardens in the Tyler area ranging from two cottage style gardens featuring native plants to a more formal tropical paradise and a rustic log cabin. All spotlight a variety of landscaping styles and methods. The tour is open to the public. Advance tickets are on sale for $10. Tickets can be ordered by mailing a check payable to SCMG at 14608 Foxwood Circle, Tyler TX 75703 or tickets are available at any of the homes the day of the tour. What a neat idea. Mothers day weekend brings the annual Susan G. Komen Race for the Cure The Susan G. Komen Tyler Race for the Cure is a 1 mile and 5K (3.1 miles) through the beautiful brick street Azalea district in downtown Tyler, Texas. The event is open to anyone who registers and includes breast cancer survivors, other type cancer survivors, friends, family, children and competitive runners. You may run or walk either event. This is a fun and worthwhile event. staying at The Rosevine Inn Bed and Breakfast!! This entry was posted in Uncategorized and tagged Tyler Things to do by admin. Bookmark the permalink.